Welcome to the night shift, where the toughest and craziest cases always seem to come through the door. Every shift is a fight between the heroic efforts of saving lives and the hard truths of running an underfunded hospital. 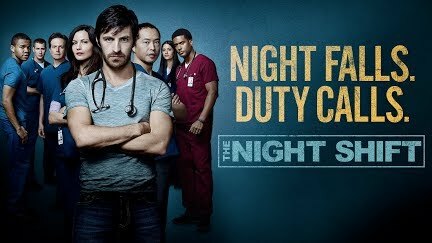 At San Antonio Memorial, the men and women who work the night shift are an irreverent and special breed, particularly adrenaline junkie TC Callahan (Eoin Macken). After three grueling tours of duty in Afghanistan, TC is about to learn that his toughest battles will be fought right here at home. Cast: Eoin Macken, Freddy Rodriguez, Jill Flint, Ken Leung, Robert Bailey Jr.